Samuel is delighted to announce that he has just been awarded a £10,000 grant from Arts Council England! 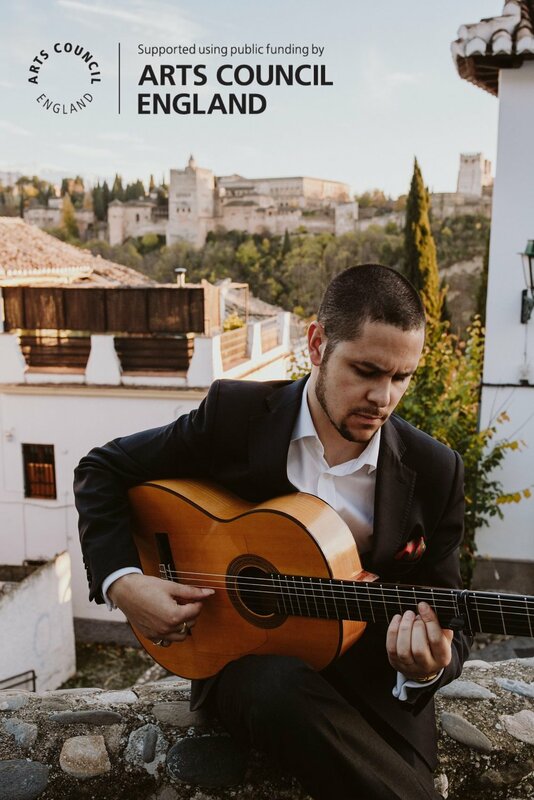 This grant has been awarded in order to fund an amazing learning opportunity which has been facilitated for Samuel by the world renowned flamenco guitarist Juan Martín. Over the next 12 months Samuel will travel out to Spain at various points in order to study the art of how to accompany flamenco singing 'el cante'. Learning how to accompany el cante in Spain is something that Samuel has always wanted to do and he is deeply humbled that thanks to this grant and Juan's generosity, he now able to do this! Samuel would like to express his sincere thanks to both Juan Martín and Helen Martín for facilitating this stunning learning opportunity and of course a big thank you to Arts Council England for agreeing to fund this! Samuel would also like to express his heartfelt thanks to all the good people who supported him during the grant application process, particularly those who kindly provided him with written references to augment his application! More information about this exciting project coming soon.